Meet Molly—a very special dog with a very important purpose—featured in A Dog's Journey, soon to be a major motion picture! Young readers will love this story in the popular A Dog's Purpose Puppy Tales series by bestselling author W. Bruce Cameron. Molly knows that her purpose is to take care of her girl, C.J., but it won’t be easy. Neglected by her mother, Gloria, who won’t allow her to have a dog, C.J. is going through some tough times. Molly’s job is to stay hidden in C.J.’s room, cuddle up to her at night, and protect her from bad people. And no matter what Gloria does to separate them, nothing will keep Molly away from the girl that she loves. Adorable black-and-white illustrations by Richard Cowdrey bring Molly and her world to life. 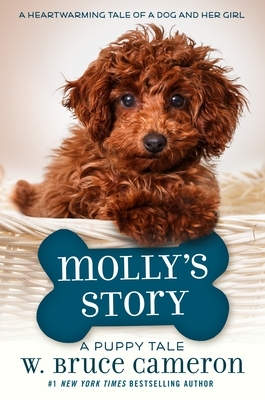 Also includes a discussion and activity guide that will help promote family and classroom discussions about Molly’s Story and the insights it provides about humankind’s best friends.